Last year, a headline on a local San Diego news station read: “Making it in San Diego: Slowing Housing Market Could Create Buying Opportunity.” This was good news for both local and out-of-state potential movers. After all, San Diego has notoriously been a difficult market to penetrate for yearning buyers. However, a report from CoreLogic, a real estate tracking company, found that there was an 11% dip in homes being purchased. At the same time, the home appreciation rate slowed down 4.6% year over year. “It’s a good time to get in there,” Mark Goldman, a San Diego loan officer, told Channel 10 San Diego. “There’s more of a selection of homes to purchase, and there’s probably sellers who are more willing to consider offers maybe a little bit below their list price, and so forth.” He also added that qualifying families who have just a few percent of the home’s value to put down have a much greater chance of getting an offer accepted in today’s market. As a whole, Southern California has seen its biggest drop in home prices than in the previous three years, making this an ideal buyer’s market. With low interest rates and a waning housing market, it’s best for buyers to take action sooner rather than later. A survey of over 200 business economists believe that there will be another recession by 2020—or by the end of 2021 at the latest. With a possible recession on the horizon, potential homeowners looking to make a move should consider their possibilities. When interest rates fall, affordability falls. Many realtors believe that today’s marketing situation is similar to what was happening over in North California during 2004, when housing prices spiked before businesses became aware that they would have difficulty hiring out-of-staters. 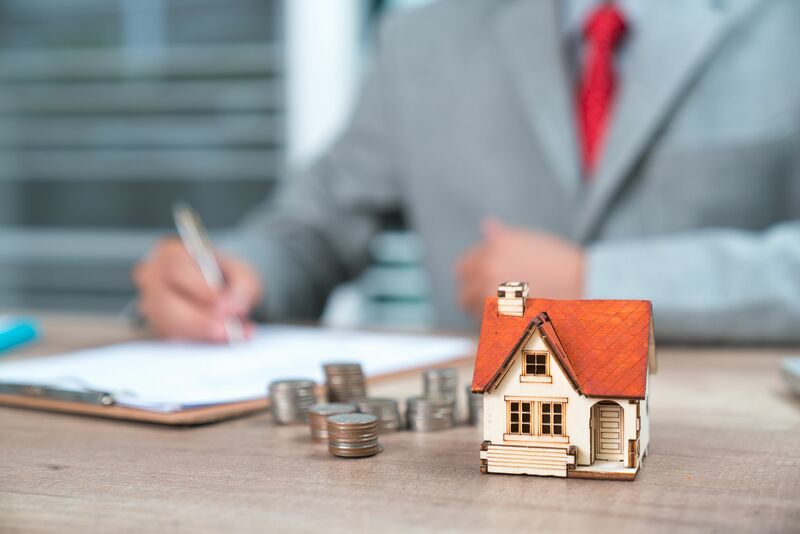 It can be difficult for people who aren’t familiar with real estate markets, trends, and data to make a decision about when to proceed with such a major life decision and huge financial transaction. A great real estate can lead you in the right direction. Here at McClain, our goal is to help you make the most informed and educated decision possible. We understand that this is a big deal—we’ve been in your shoes before, and have helped many other buyers discover what’s right for them, and when it’s right for them. San Diego is known for its temperate weather year-round. On most days, you’ll be able to walk around with a light sweater. And in the summer, you can of course expect warmer weather. The average temperature for the year is around 63 degrees; if you plan on moving into this city’s it’s a great time to get rid of some of those heavy winter clothes and make some room in your closet. If you’re someone who likes to travel or enjoys the idea of a quick family trip, then you’ll appreciate San Diego’s close proximity to Mexico. The nearest Mexican city is Tijuana, and it’s just a 30-minute ride away from San Diego. That means that within less than an hour, you can you can completely immerse yourself in a new culture. If you love wine, check out Valle de Guadalupe, the Napa Valley of this region, which produces 90% of the country’s wine. San Diego is one of the best places in the world to live a healthy lifestyle. On any given day, there are plenty of farmer’s markets for you to enjoy. If you’re wondering why, consider this: San Diego has more small farms than anywhere else in the entire country. Whether you like caves or beaches or mountains, there’s something for everyone. Prefer the bustling downtown scene or the scenic views of residential neighborhoods like La Jolla? The same applies for activities, too. Whether you like surfing, golfing, paragliding, sailing, hiking or biking, there’s ample opportunities to do all sorts of activities for you and your family. If you love an active, healthy lifestyle, San Diego is a place that makes it that much easier to have. This is easily one of the best places in the world to balance your physical and mental health, and spearhead a perfect work-life balance. From beautiful state parks to a myriad of hiking trails, parks, and beaches, there’s no shortage of opportunities to have fun and stay fit. If you enjoy a nice, cold craft beer, San Diego is the town for you. The city is home to roughly 150 different breweries, each offering a variety of flavors from local and regional areas. Check out San Diego magazine’s list of top 10 breweries for inspiration on where to get started if you’re looking for a place to check out. At the San Diego Crew Classic, you’ll find over thousands of athletes, gathered from more than 100 colleges and universities across the country. This competition is home to future Olympians, and it’s an event you definitely won’t want to miss. For many, this event is the highlight of their competitive rowing career. And this event isn’t just about rowing: it’s a great time for spectators to enjoy the competition while socializing, eating great local food, and sipping craft beers from some of San Diego’s best breweries. Rowing takes place on the beautiful shores of Mission Bay. La Jolla Concours D’Elegance is a demonstration of the finest automobile gems. During previous years, the event has showcased vehicles like British marques, American sports cars, woodies, Italian marques, and even horseless carriages. Expect to find over 150 amazing restored vehicles, all lined up spectacularly against a Pacific Ocean backdrop. On the Concours lawn, guests will also be delighted by a vintage aviation show, featuring the finest restored aircrafts. Port of San Diego’s Day at the Docks is hosting its 40th annual event for San Diego sportfishing. The mission statement of the company of is that it hopes to help everyone learn more about the Port of San Diego and what it can offer. Fishing seminars will teach fishing enthusiasts to learn more about the “how tos” of fishing locally from industry experts and San Diego fleet experts. There’s also a “Kids Fishing Adventure” event, aimed at kids between the ages of 4 and 12. Children will have a chance to wet a line and make a catch. A Cooking Center will show off demonstrations on how to properly handle, store, and cook fish. Lastly, expect $3 boat rides around the Bay for a day, a gourmet galley of food, and a fleet of boats. This year will mark the 35th annual Mission Federal ArtWalk, taking place in the streets of Little Italy. Expect more than 300 artists, spanning across 17 blocks. Bringing in artists from around the world, you’ll find craftsmanship using various materials, interactive art installations, live music, and dance performances. Every medium of art is covered here: photography, fine jewelry, glass work, sculptures, and much more. Artist & Craftsman Supply will host a special event where guests can join together to create an abstract painting using Jacquard alcohol inks, Ampersand panels, and POSCA acrylic paint markers. And there will be plenty of food trucks available for eating, too. Admission: Half marathon, $120; 5K, $50. Entry includes a technical fabric short sleeve shirt, half marathon and 5K finisher medals, complimentary Ballast Point beer in the beer garden, and several other perks. There’s a reason why La Jolla translates to “crown jewel,” and you’ll get an up close and personal view to understanding why. The La Jolla Half Marathon is one of the most beautiful in the world, with picturesque views along a scenic coastal route. The race starts at Del Mar Fairgrounds, followed by a challenging climb towards the top of Torrey Pines State Park. After you reach the Torrey Pines mesa, you’ll follow along the La Jolla Shores residential area, eventually finishing at the beautiful La Jolla Cave. Less experienced runners have the option of running a shorter route via a mostly-downhill trail, which still follows along most of the scenic route of the full marathon. Date: March 9th – April 28th. Check website for hours. Admission: Free with SeaWorld admission. SeaWorld’s Seven Seas Craft Beer & Food Festival celebrates the best craft beers from local breweries, as well as international cuisine made with fresh ingredients from local farms and vendors. Gourmet offerings come straight from Dave McHugh, SeaWorld San Diego’s Executive Chef. Expect over 50 mouthwatering food choices, which you can pair with different varieties of brews while watching live entertainment. The San Diego Earth Fair is an annual environmental fair held every year in Balboa Park. This year marks the event’s 30th official event, and every year, it attracts around 60,000 visitors. Expect a major food pavilion, a children’s activity area, several entertainment venues, special theme areas, and over 300 exhibitors. Each exhibitor represents a different environmental organization, from wildlife preservation groups to ecotourism companies. The overarching goal: to help visitors learn more about how they can make small and big changes to preserve the integrity of the Earth. You’ll find extraordinary vegetarian cuisine at the Food Pavilion, dozens of artworks made from recycled and eco-friendly material at the eARTh Gallery, and an eHome exhibit area that shows you how you can use technology in the home to push the eco-conscious agenda. Admission: Generation admission, $60; VIP admission, shorter lines with special pours from select wineries and an extra hour of tastings. All tickets include wine tasting. This wine festival celebrates over 200 types of different wines from around the world. And that’s not all: at this event, you’ll find gourmet trucks, lawn games, a live DJ, and much more. Bring your own beach chairs and picnic blankets for the perfect scene to sip some global wines and eat great local cuisine. Julian Gold Rush Days is the perfect celebration for family. The mission of the event is to help both visitors and residents alike better understand the history of San Diego and California and its relationship with the discovery of gold. The event takes place at The Julian Farm and Orchard in Wynola, an old fashioned mining camp. There are plenty of activities you’ll find here, including gold panning, hayriding, archery, and candle making. There are over 16,000 real estate agents in San Diego, and finding the right one is imperative. With so many real estate agents in the area, each are running their own marketing campaigns to attract new leads. They’re using online ads, direct mail postcards, and even putting on sponsored events. As a result, it can be difficult to cut through the noise to find someone that’s right for you. An agent’s previous client pool offers great insight into their expertise. A good agent is happy to provide you with details about people they’ve worked with. One area you want to focus on with past buyers is what the asking price was and what the selling price was. This gives you a ballpark understanding of how an agent handles negotiation in favor of the buyer. For homeowners who are selling, you’ll want to know more about the type of properties they’ve sold in the past. Ideally, you’d work with an agent who has sold homes that are similar in value and property type. If possible, you should contact previous clients to get some firsthand knowledge into what their personal experiences were like. Would they recommend the agent? What did they enjoy about their experiences? These are the things you’d want to know. An agent’s current listings are a solid indicator of the type of homes they’re working with. Pay attention to how they present themselves on the Web, and how they market their listings. A listing that’s descriptive, has great photos, and is well thought out, clearly demonstrates that the agent puts thought and careful attention into their work. Once you’ve narrowed down your potential real estate agents, it’s time to look into their real estate records. Counselor of Real Estate (CRE) is a group of certified professionals who can offer expert advice on property and land-related matters. This membership is by invitation only. Although you should always ask the agent directly, you can take further precaution by contacting the California State Licensing Authority to see how long a particular agent has been in business. Ultimately, your goal is to work with an agent with verifiable knowledge about working with homes in a specific area and within a particular price range. What’s your average list-price to sales-price ratio? What San Diego neighborhoods do you specialize in covering? What should I expect from you in terms of communication? If I’m asked to sign documents, can I review them ahead of time? What does your dream home look like? What’s your budget? What time frame are you looking at to buy or sell? What expectations do you have for an agent? Have you ever worked with a real estate agent before and if so, what was your experience like? Of course, the questions they’ll ask depend on whether you’re buying or selling, and their questions should match your current scenario. Keep in mind that although experience is important, there’s so much more to an agent than that. An agent’s experience shouldn’t be the end all, be all. You should also factor in comfortability and chemistry. Often, you’ll notice straight away when an agent doesn’t have the right chemistry with you, or when their initial meeting doesn’t make you feel comfortable. It’s important to listen to your gut during this time. For example, perhaps they seem a little confrontational, brute, hurried, or unsure. These can all be turn-offs for anyone looking to buy or sell. No matter how great their resume is, you’ll be spending several weeks with your agent, and you should get along with them very well from beginning to end. When you start working with real estate agents, there are several red flags to watch out for. Sometimes, an agent will look good on paper, but doesn’t perform nicely in person. For example, let’s assume you’re a buyer speaking to three different agents. You know that each agent is looking at the same data and trends, and is using that information to come up with the most accurate home value. If an agent prices too high, this is usually a red flag. Homes that are too high on the market take longer to sell, and this could indicate that the agent is greedy, unrealistic, or cannot accurately read the data. Another red flag for sellers is if your agent charges you for a Comparative Marketing Analysis. The CMA compares your home to similar homes on the market that have sold over the previous few months to few years. A great agent considers this analysis a part of their real estate routine, and will do it for free. Keep an eye out for signs of unprofessionalism. Showing up late or consistently canceling isn’t signs of a busy, sought after agent; it’s a sign of someone who cannot manage their time, doesn’t prioritize yours, and is putting too much on their plate in hopes of a bigger payout. Similarly, if you notice that you’re spending too much time communicating with their assistant, they’re probably too busy for you. Real estate agents who have worked in the field for quite some time have built relationships with other professionals in the real estate industry. They should have trusted connections with reputable vendors. This includes contractors, lenders, inspectors, and title companies. This way, you’re able to choose from several options when you require those third-party services. When they provide you with a list of these vendors, be sure to ask why they chose them. If you notice the term “affiliated” on any the listed vendors, chances are the real estate brokerage receives a commission when those services are rendered. While this isn’t always necessarily a bad thing, it could mean you’re paying an unnecessary premium. Look for transparency in your agent; they should be able to explain any affiliations without you having to pry. San Diego is an amazing place for food, culture, and nature. And what’s especially great about it is that it’s a place that caters to all types of budget and activity preferences. No matter what you like to do, or how much money you’ve got in your pockets, there’s something for you in this sunny city. Private sunset balloon rides give couples and groups beautiful 360-degree views over Del Mar, and even as far as Mexico. While there are a handful of viable balloon ride companies in the area, California Dreamin’ is one of the more well-known excursion companies. Their hot balloon experience has been profiled in Sunset magazine, thanks to jaw-dropping sunset views over the beautiful Southern California wine country that sprawls in all directions. Reach out to the company if you’re interested in celebrating a special occasion. For example, the company arranges a balloon-ride gourmet birthday cake for birthdays. San Diego is known for its lengthy list of amazing winery tours, and there’s certainly no shortage of options available. San Diego Beer, Spirit, & Winery Touroffers a world-famous winery tour where guests can hop aboard a train and enjoy breathtaking coastal scenery along San Diego, stopping to explore local wineries and taste rooms, and taking a light lunch break of Italian cuisine. The company also offers chauffeured winery tours, where you’ll be picked up and dropped off directly at your home, stopping to visit three local San Diego wineries and taste about 18 different wines. The chauffeured tour also offers a behind-the scenes look at the winemaking process and a lavish fruit and cheese platter. If you’ve ever dreamt about driving in an exotic luxury car, but don’t quite have the funds to get one of your own, then San Diego Prestigeis the place for you. This luxury car company allows visitors to try their hand at a variety of vehicles, including: a Lamborghini Aventador, a Ferrari 458 Spider, a Corvette z06, a Mercedes G Class, and much more. Each “tour” comes with an introduction to the cars, a short driving course, mileage and gas for 3 hours of road time (you can try several cars and get 30 minutes each for up to six different cars), and GoPro usage. Passengers can join along on the fun free of charge. Right from San Diego, you can charter a private yacht to set sail and be well on your way towards an amazing adventure. There are plenty of options for you to choose from: Mai Tai San Diego Yacht Rentals, San Diego Bay Cruises, San Diego Luxury Sailing, and Luxury Liners are all great options. From super yachts with full-beam master suites and en-suite bathrooms to to the smaller luxury yachts suited for intimate evenings, there’s no shortage of options available. Combine your luxury private yacht outing with an equally exciting activity. For example, because of San Diego’s coastal waters, you’re likely to be able to go whale and dolphin watching not far from shore. You can also opt for an overnight experience with a sunset sail. The San Diego Zoo is one of the most renowned in the world. It has a long, storied history with a modest beginning: the zoo was started with just a small lion that was left behind by a failed zoo owner. Dr. Harry Wegeforth didn’t have much public support, but was given $9,000 from one philanthropist to build a fence for its small but growing family of animals. Today, it sits on 100 acres and is the largest—and arguably best—zoo in the world. Not only can visitors take a stroll through the San Diego Zoo, gaping at rare animals like the Giant Panda, but they can opt for additional excursions that cost a little extra money. The San Diego Zoo Safari Parktakes you on a wild safari ride in the back of a safari caravan, where you’ll drive through miles of open land and gape at wild animals. Rhinos, antelopes, lions, giraffes, African birds, and much more surround you. If you have a bigger group, you can even go the extra mile and book a caravan for yourself and your group. There are only two restaurants in Southern California that have achieved Forbes Five Star status—and San Diego’s Addisonrestaurant is one of them. They’ve also earned AAA Five Diamond status for nine years in a row. This restaurant serves contemporary French cuisine in a sophisticated setting at the Fairmont Grand Del Mar, a Mediterranean-themed hotel nestled in San Diego’s Los Peñasquitos Canyon Preserve. The Chef’s Tasting Menu is available for $250. The menu changes frequently depending on the season. The Winter Menu, for example, includes dishes like caramelized sablefish with toasted kale and scallion and duck a l’orange with pistachio and beets. If you really want to bask in all of San Diego’s glory, opt for a private helicopter ride from Corporate Helicopters. The company has been flying over San Diego for nearly three decades, and guests will see a once-in-a-lifetime birds-eye view of San Diego staples like the La Jolla caves, downtown San Diego, Mission Bay, the historic USS Midway, SeaWorld, San Diego Bay, and much more. There are different types of tour packages to choose from. For instance, the Surf & Turf tour is an hour long private helicopter ride that takes travelers along the city’s best coastal attractions. There’s also a 3.5 hour wine tasting flight that stops for winery tour, flying over rugged mountains and vineyards. Torrey Pines is the official U.S. Open golf course that’s attracted some of the biggest talents in the golfing world. Playing golf here is certainly a luxury. A half day of golf schoolwill cost $450 for the first golfer and $280 thereafter, and includes nine holes on your choice of South or North course, 90 minutes of private instruction, 1 hour of on-course golf instruction, carts, and clubs. A full day includes lunch at the Lodge at Torrey Pines—an award-winning luxury resort overlooking the golf course and ocean. If you’re an adrenaline junkie, skydiving in San Diego just might be the luxury adventure you’re looking for. Gojump Oceansideis the only tandem skydive operator in Southern California that offers ocean views during the entire jump. With a full ocean view during your entire freefall, you’ll leave with unforgettable memories. If you’re still up for more adventures after your dive, there are plenty of nearby attractions and downtown San Diego is just a 30 minute drive away. In the world of startups, there’s one place that comes immediately to mind: Silicon Valley. After all, Silicon Valley is home to some of the biggest startups and is historically known for catering to entrepreneurs who hope to become the next best business in their industry. As a startup founder, it’s no secret that the stretch between San Jose and San Francisco is the place to be if you want to rub shoulders with other entrepreneurial peers, meet investors, and partake in incubator programs. However, lately a trend in the startup ecosystem is that many businesses are leaving Silicon Valley in favor of other startup-friendly cities around the country (and world). The high cost of living (San Francisco is the most expensive city to live in the United States), increasing level of competition, and low tolerance for mistakes can start to feel hostile for a business in its infancy. Startups experiencing momentum may quickly discover that those strides are being halted by the saturation of Silicon Valley. As previously mentioned, growing a startup in big cities like San Francisco means you’re not only competing with the hundreds of viable startups, but you’re also competing with some of the biggest tech companies in the world: Facebook, Uber, Twitter, Google, and many more. From an investment standpoint, you’re competing with companies across every industry for investment dollars. Venture capitalists and angel investors only have so many dollars to spread, but the amount of potential places to spread those dollars is significantly higher. From a talent perspective, you’re competing with big corporations for the best hires in engineering, marketing, sales, and more. As a startup, you need the best of the best, and to have that, you should reside in places where those conditions to thrive exist. In San Diego, those conditions are much more attainable. 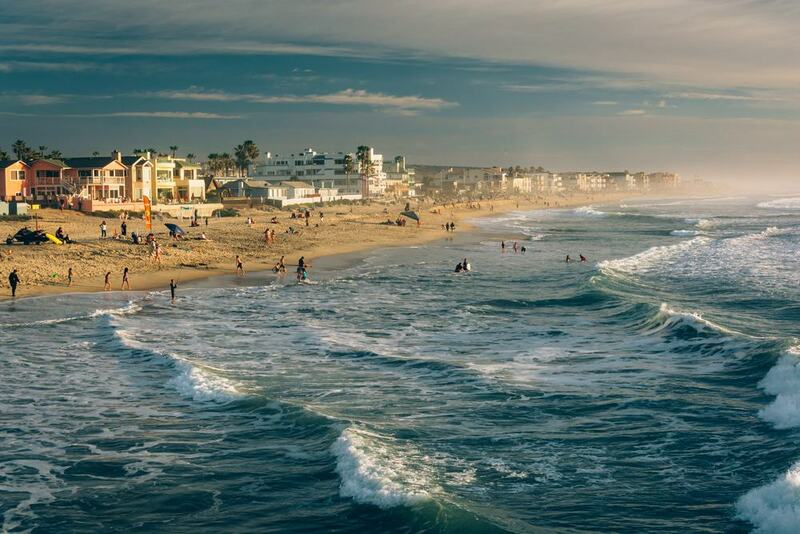 There’s plenty that San Diego is already known for: gorgeous, wide sandy beaches, nearly perfect weather, amazing attractions, and great cuisine. But what many people don’t realize is that San Diego is also a growing tech scene. The prime coastal location epitomizes the balance between work and play, which creates a strong balance between an active, healthy lifestyle, and an infrastructure for innovation. And as many studies have demonstrated, the happier you are in life, the more productive you are in work. Within one year, the year-to-year growth of startups in San Diego jumped seven ranking spots, from 11 to 4. San Diego has plenty of incubators and accelerators where startups can grow their businesses. Incubators help support startups who are in the early stages of building their businesses. Typically, this is when they have a great idea and/or talent to bring something new into a respective marketplace, but don’t have the business model or support to translate that into reality. On the other hand, accelerators are designed to assist with growth for startups that already have a business model and traction, building upon existing foundations. The primary goal of incubators and accelerators are to help businesses grow through mentorships and investor fundings. 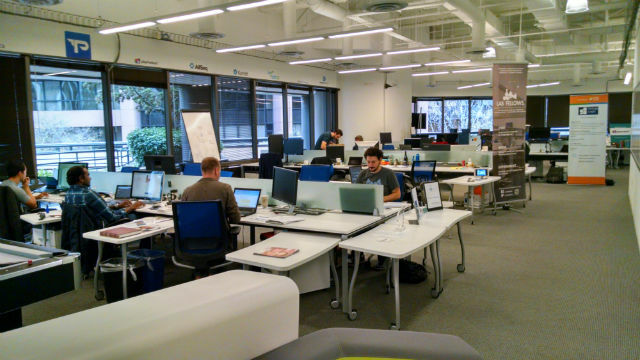 Incubators and accelerators are both present (and growing) in San Diego. For example, Ad Astra is a female-focused accelerator that provides guaranteed funding at the completion of the program. On the other hand, the Wireless Health Hub is an accelerator that focuses on businesses in the wireless health industry. Over at BlueTech, the incubator program caters to startups in the ocean and water-based industries. There are also plenty of new coworking spaces in San Diego, sprouting across the city to accommodate the growing number of startups who are launching or migrating to the sunshine city. No matter where you intend to grow your startup, community can make all the difference. In fact, many people agree that building a community is much more important than networking. This is because networking is traditionally based on the concept that you should create introductions based solely on what they can do for you, and then afterwards, what you can strategically do for them. A community, on the other hand, is based upon creating genuine connections with people whom you’re eager to help, and receiving the same passion from others as well. And there are plenty of different resources available to San Diego residents who have chosen San Diego as a base for building their business. Take one look at the SD Tech Scene and you’ll see exactly what it means to have a community in this area. The calendar is chock full of startup and tech events, co-working space information, and tech job listings. There’s also Startup Week San Diego and San Diego Startup Weekend, an annual event that celebrates innovation in the community with a roster of events and seminars designed to create networking opportunities and help local startups learn more about how they can progress their own businesses. CleanTech San Diego, CONNECT, and San Diego Venture Group are all organizations that help foster a community, too. Part of being an entrepreneur is making mistakes. If you look at some of the most well-known startup founders, you’ll likely discover that the vast majority of them experienced some mistakes as they built their companies. Some had several failed companies before finally landing on something that worked. Unfortunately, in high-competitive places like Silicon Valley, there is little room for mistakes. And that means there’s hardly any room for an entrepreneur to make mistakes that many people make, and to grow from them. Because San Diego isn’t considered a major “tech hub,” it leaves entrepreneurs with the opportunity to test freely without added pressure or fear of the industry. This ability to make mistakes, pivot, or fail and bounce back, coupled with a community atmosphere, makes it easy for startup founders to feel comfortable in their skin and explore limitless boundaries. There’s plenty of reasons people travel or move to San Diego. The town’s laidback attitude serves as the foundation for a land of sea and sun. With a booming culinary scene, gorgeous beaches, nearly perfect weather, an amazing craft beer scene, and nature and hiking at your fingertips, there’s no shortage of possibilities in San Diego. The San Diego Railroad Museum is a unique and massive miniature display of how an extensive railroad system looks and operates. 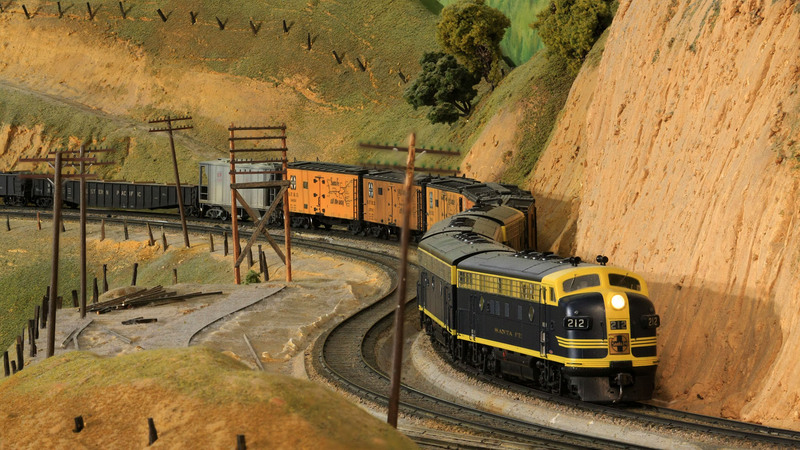 At 28,000 square feet, it is currently the largest operating model railroad museum in the world. This display represents the California railroad system, and the museum’s mission is to preserve both the history of model railroading (which has been popular in San Diego for many decades), as well as educate the public of different aspects of the railroading system. It features detailed recreations of some of the state’s most beautiful train routes, like the Pacific Desert Lines and Cabrillo Southwester. If you want to take your kids for a visit, there’s much more than the base base museum for them to enjoy. They can also play in the Toy Train Gallery, which has an interactive layout with state-of-the-art theatre lighting. The Spruce Street Suspension Bridge isn’t well-traversed by tourists and visitors. This pedestrian-only suspension bridge is 375 feet long, with beautiful vista views of the Sessions Canyon. This massive bridge is supported by cables that are cemented into concrete slabs 70 feet below. Like all suspension bridges, it isn’t rigidly rooted, which means it can sway in harsh winds. But for many, this is all a part of the experience. Because it’s secluded in the Bankers Hill neighborhood, many locals come here for a leisurely stroll or date picnic. Originally built in 1912, it’s still proven a sweet spot to enjoy, and holds true to its Indiana Jones-aesthetic. Located in Balboa Park, the San Diego Museum of Man is a museum of anthropology that’s been around for over 100 years. The central exhibit is called “The Story of Man through the Ages”, but there are several other things to learn here, from the history of beer to the subject of cannibalism to the origins of folklore monsters. You’ll also find one of the most important collections of ancient Egyptian artifacts, which includes figurines, burial masks, and painted coffins—including a Ptolemaic child’s coffin (from around 300 BC), of which only six in the world have been discovered. Here, you’ll also find the historic Lemon Grove Mummy. A fun fact about this mummy: two local teenage Californian boys went to Mexico in search of a mummy in 1966, and found two centuries-old mummies after a month of looking. They smuggled the mummies back over the Mexican border, and hid them in a friend’s garage. A full 14 years later, the garage was being renovated when the mummies were discovered and police were called in. Because of their juvenile status, and the amount of time that had passed, the boys didn’t face any criminal charges, but the mummies were given a special place at the San Diego Museum of Man. 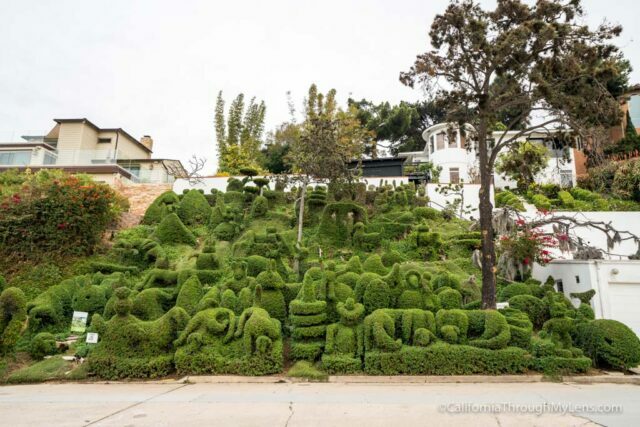 Harper’s Topiary Garden is a beautiful, natural work of art created by Edna Harper, who purchased her Mission Hills home and didn’t feel satisfied with the cookie-cutter shrubs that dotted her front lawn. Instead of getting rid of them, she decided to create a topiary for passerby to enjoy. For many years, Edna shaped her foliage into different creations inspired by her travels around the world. Within the suburban garden, visitors will find a buddha, a pyramid, a herd of elephants, and even a dinosaur. Edna is consistently reshaping her bushes to fit her newest whimsical dreams. For those interested in making a nice stroll of it, the Topiary is just a 45 minute walked from the Spruce Street Suspension Bridge. You’re welcome to take pictures, explore the garden (you aren’t permitted to touch the hedges, however) and admire the creations, but keep in mind it’s a private residence, and Edna still resides there. Believe it or not, there’s a 6,000-acre underwater marine park right in San Diego’s backyard. This vibrant submerged park features four different habitats: kelp bed, sandy flat, rocky reef, and submarine canyon. The diverse marine life here thrives with rich food resources, making it easy for visitors to spot all types of sea life, from leopard sharks to Orange garibaldi to seals and sea lions. Bordering the park is 75-million year old sandstone, comprising seven different sea caves (including Sunny Jim’s Cave, however, only Clam’s Cave is visible above the surface of the water). To explore the underwater park, turn to local operates that lead guided snorkeling and scuba diving excursions. As previously mentioned, the Sunny Jim Cave is located at the San Diego-La Jolla Underground Waterpark. And what makes this place so unique is that the Sunny Jim Cave Store has the only sea cave entrance that’s accessible by land. The store connects its retail location to the sea cave via a narrow tunnel across 145 steps. Thanks the saltwater affect and natural minerals, the cave walls are very colorful and make a perfect home for seabirds. Although it might look like a natural tunnel, in 1902, German mining engineer and painter Gustauf Schultz hired two laborers to begin digging the tunnel, which has since become a Historical Landmark in California. In the early days, visitors had to descend the cave by rope instead of stairs. In the early 1900s, there also used to be a restaurant and cafe here until it burned in 1915. Today, the Cave Store features a variety of trinkets for purchase, such as handcrafted jewelry, vintage clothing, and local plein art. Outdoor cinemas haven’t completely gone extinct, and Cinema Under the Stars in San Diego is alive and thriving. 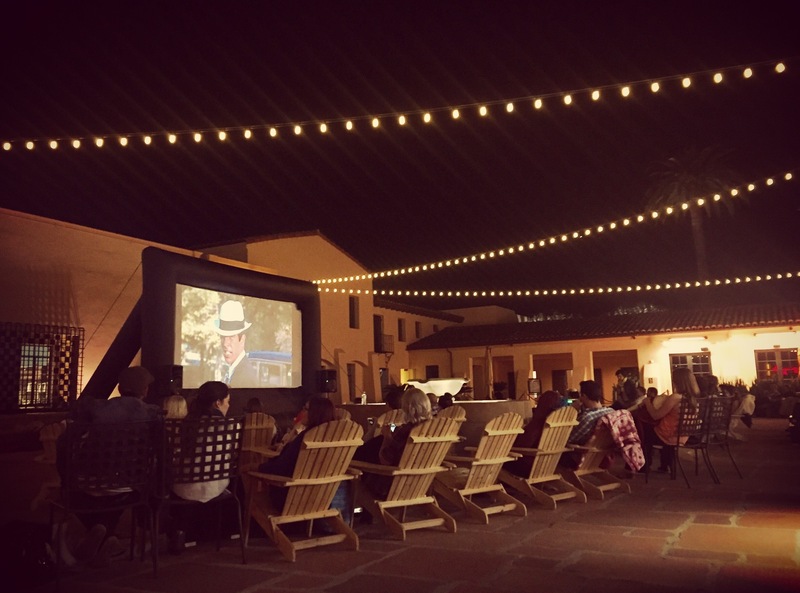 This outdoor movie theatre is in Mission Hills under a retractable dome with infrared heating, making it easy to see movies during any weather and providing the comfort of an outdoor theatre without compromising the nostalgic, fun feel of an outdoor theatre. Movies are projected onto a 20-foot screen complete with a surround system and HD projection. There are plenty of seats to choose from: zero gravity recliners, ottomans with tables, and loveseat cabanas. Popcorn and candy are available at concessions stands. The theatre tends to play timeless classic and old favorites, and you can reserve your seat and check the movie lineup on their website. January may be a time to recuperate from the holidays but the fun keeps going in San Diego! The mild winter weather is the perfect inspiration for a variety of events that take place during the month of January. Take a look at some of the highlights. Winter enthusiasts will be drawn to the Poway Winter Festival where you can build a snowman, sled down the snow hill, roast marshmallows by the campfire, make silly faces in the free photo booth and take a spin around the synthetic skate rink! Along with a host of winter activities, there will be a variety of specialty and food vendors on-site. There will be no ATM machines at the event, so please plan accordingly. The 9th annual San Diego Beer Fest returns to Liberty Station and promises another fun-filled day with beer, food trucks, and music. The event features dozens of local and international craft beers, as well as San Diego’s most popular food trucks (food sold separately). Admission is $45 for general admission (1:00 – 4:00 PM) and $55 for Early Admission (Noon to 4:00 PM). Both include unlimited beer tastings, with VIP admission offering an added hour. Please keep in mind that the event is limited to 21 and over and no pets are allowed. The San Diego Brew Festival’s proceeds will benefit Noah’s B-ark, Inc., whose aim is to rescue dogs from shelters and find permanent homes for rescued pets. With ideal weather conditions, a spectacular coastal course, 26 fully staffed course support stations and continuous entertainment, the Carlsbad Marathon is more than a race, it’s an unforgettable experience. Each participant receives a gender specific long-sleeve technical fabric shirt, virtual goody bag, finisher’s medal, post-race mylar blanket, refreshments (including chocolate milk!) and much more. Participants have several race options, including a full marathon (26.2 miles) or half marathon (13.1 miles), the Surf Sun Run 5K and the Double Down Challenge which begins at 6:45 a.m. with the Surf Sun Run 5K then finishes with the 7:45 a.m. Carlsbad Half Marathon. San Diego Restaurant Week will be held Sunday, January 20 through Sunday, January 27 with a FEAST for the senses at over 180 participating restaurants. Enjoy delicious selections at restaurants offering prix-fixe menu options throughout San Diego County. During the week, more than 180 participating restaurants will offer three-course prix-fixe dinner menus for $20, $30, $40 or $50 per person and/or two-course prix-fixe lunch menus for $10, $15 or $20 per person. The participating restaurants span across the county from the South Bay to East County and to the borders of Oceanside and Fallbrook to the North and touch on all cuisine types and cravings. Tickets are not necessary for this spectacular week of discounted dining, but reservations are recommended! San Diego Restaurant Week is brought to you by the non-profit San Diego Chapter of the California Restaurant Association. Golf enthusiasts and those looking to enjoy spending a fabulous day in the fresh air and sunshine will celebrate the news that the Farmers Insurance Open is returning to Torrey Pines Golf Course in La Jolla, California. The prestigious tournament, which takes place annually, will be held January 24-27, 2019. The renown Torrey Pines Golf Course provides stunning ocean views as the backdrop to this world-class competition. There are a number of attractions for spectators including the Grey Goose 19th Hole, The Michelob ULTRA Zone, Fan Village and a variety of concession stands. Each day, once the last group of golfers has played through the 15th hole, the Post Party begins! The Fringe, presented by Harrah’s Resort SoCal, will open to the public at approximately 3:30 p.m. (once play is concluded) to keep the fun going. In addition to watching the PGA TOUR’s rising stars, individuals can take part in the Harrah’s Resort SoCal Pro-Am. The event takes place on Monday, January 21 and offers the unique opportunity to spend time with members of the PGA TOUR. This event allows individuals to play with a TOUR professional on Torrey Pines South Course under the same conditions they will face for the tournament. There are packages for single players as well as foursomes. Learn more here. Another event that lets you feel like part of the PGA TOUR is the Farmers Insurance Pro-Am held on Wednesday, January 23. Participants will play with one of the players from the top 100 on the FedExCup points list. Feel like a pro while your skills are challenged under tournament conditions on either Torrey Pines North or South Course. There are packages for single players as well as foursomes. More details can be found here. There are a variety of ticket options for single and multi-day admission which can be found here. If you find yourself in the San Diego area toward the end of January, be sure to pay a visit to the Farmers Insurance Open for this memorable fan experience! There are almost limitless way to celebrate the New Year in the San Deigo area. From wild to elegant, over the top to understated, there is something for every interest and age. Here are a few of the many events in the area to consider when making your holiday plans. Celebrate in style aboard the Inspiration Hornblower Yacht, a $25 million ship that is nearly as large as a football field. Enjoy stunning 360° view of San Diego Harbor from the top deck while you are tempted with an incredible selection of hors d’oeuvres and beverages. The fun continues all night with three levels of music that will keep you dancing until 2019. Step back in time and experience the glamor and sophistication of old Las Vegas. This high-end cocktail party will be complete with casino tables, themed music, entertainment and classic cocktails. Get into the groove and dress up as one of the era’s icons or don the retro accessories provided for the evening. Ring in the New Year at The World’s Greatest Legend, a once-in-a-lifetime celebration with dazzling star attractions and awe-inspiring performances. Experience the oceanfront Ballroom as it transforms into a lavish big top with black tie clad aristocrats, an incredible five-course feast, open bar and dancing to the sounds of the Mighty Untouchables. All attendees must be over 21. Kids and teens can ring in the New Year at their own party from 7pm-12:30am. The night includes dinner, ice skating (ages 8+), special shows, games, s’mores roast, and a midnight toast with sparkling cider. Teens ages 13-17 can also hang out in their own teen lounge and watch movies as they mingle. Families who want to experience the excitement of New Year’s Eve but don’t want to stay up late can visit LEGOLAND California Resort where “Midnight” comes early. LEGOLAND California re-creates the Times Square ball drop with a giant LEGO brick falling 22 feet in the air at the area’s largest Kids’ New Year’s Eve Party! Experience this iconic New Year’s Day tradition for yourself! The 2019 parade will feature floral floats, spirited marching bands and high-stepping equestrian units along the 5 ½-mile route down Colorado Blvd. Whether you enjoy the parade on your own or as part of a tour, you will be awed by the magic of this unrivaled celebration.